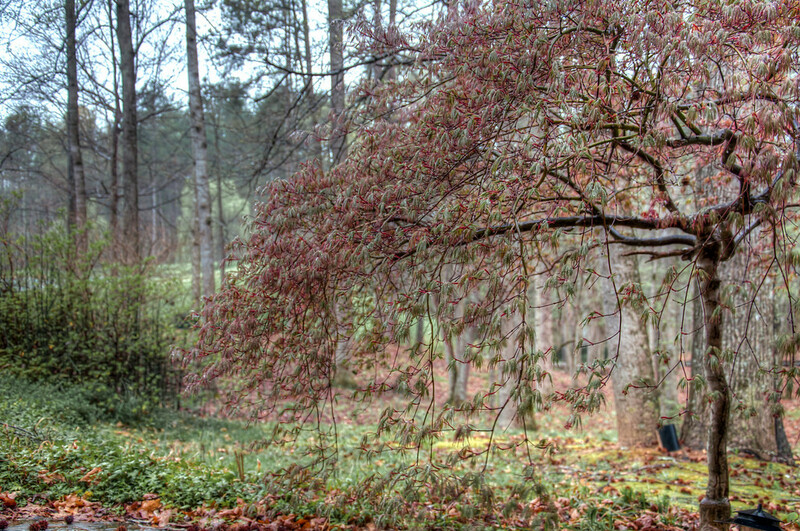 Japanese Maple in the Rain | Just Shooting Memories! I was taking photos in the rain and decided to get some of the rain drops rolling off the Japanese Maple. The close-ups didn’t turn out like I wanted, but this one did. This is probably my favorite type of tree, but I saw some impressive trees exploring Oregon.